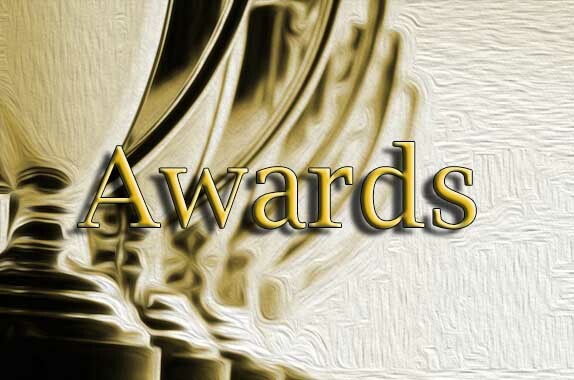 Some are small, some are tall and others are hidden in a wall. 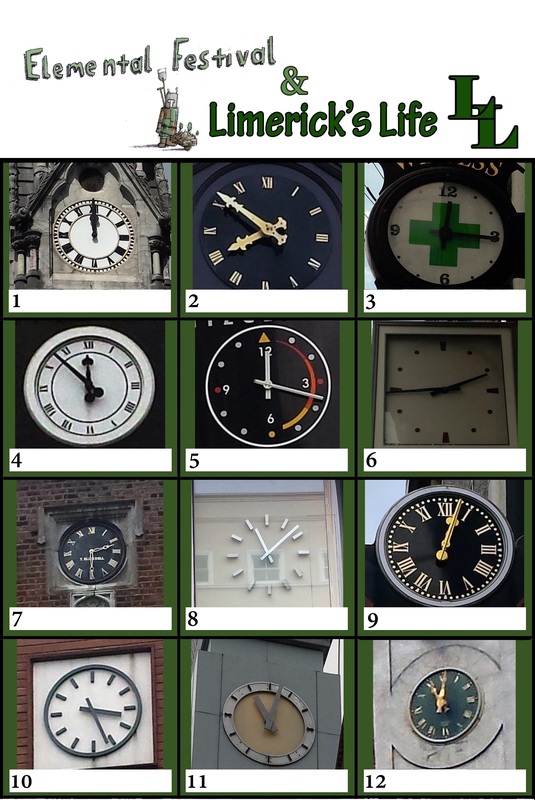 The Treasure hunt clocks can be found on the streets or attached to buildings in Limerick City Centre. How many can you find over the course of the Elemental Arts and Culture Festival Weekend 12-14 September 2014? You can pick up a copy of the treasure hunt in the No. 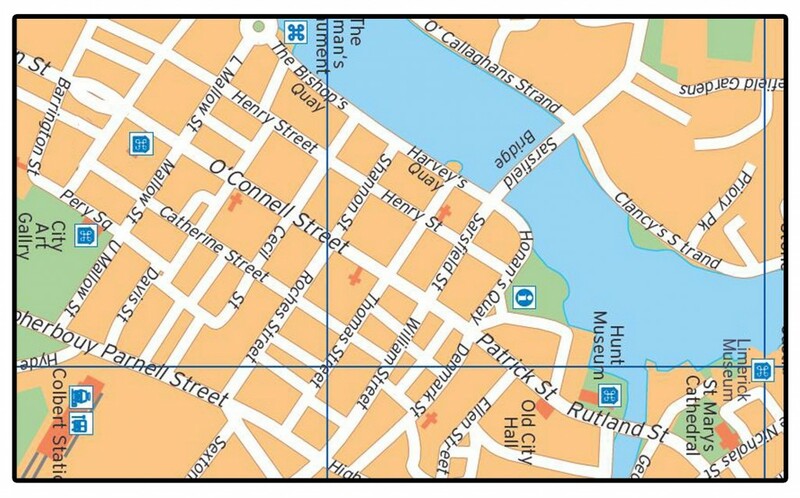 1 Pery Square Hotel, (from 10am-4pm each day 12-14 September). 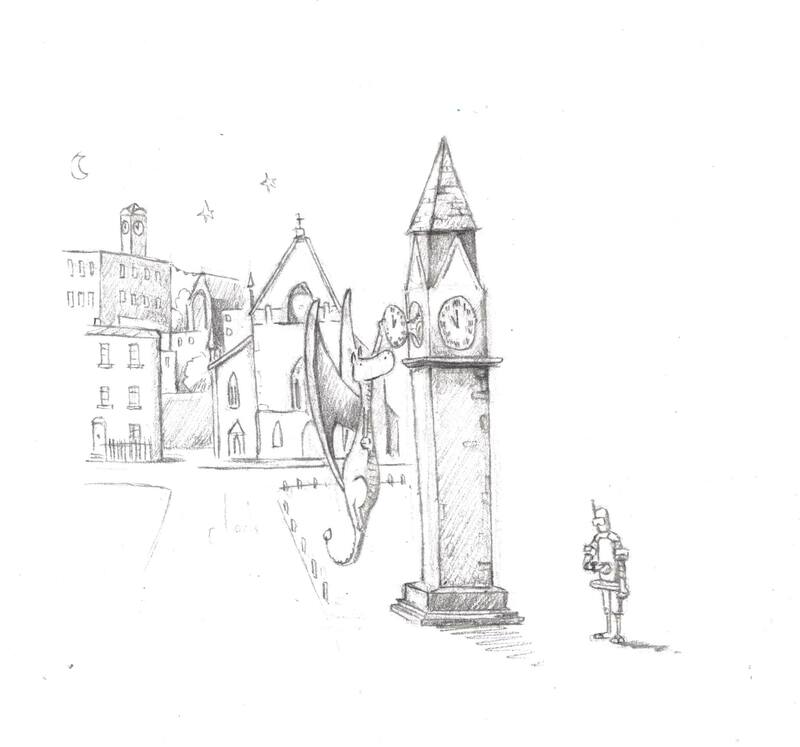 Here you can also watch an short homage to Cannock’s Clock. You can also click on the image below if you would like to participate in the quiz without collecting a hard copy from the No. 1 Pery Square Hotel. 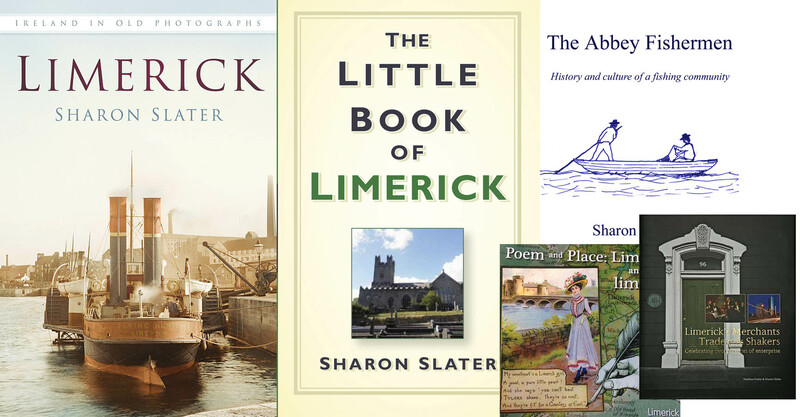 All correct answers will be entered into a draw on the 16 September for a copy of The Little Book of Limerick by Sharon Slater. 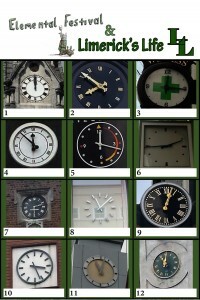 Each clock is located in the confines of the map below.